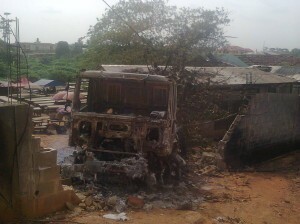 Two people have been killed in Lagos, Nigeria after a runaway fuel tanker exploded after suffering from brake failure and crashing in to a building. Eye-witnesses at the scene say they saw the tanker careening out of control before it slammed into a concrete building and burst into the flames. When the vehicle combusted, the fiery debris ignited the gas tank of a close-by motorcyclist, who then became engulfed in the flames and also perished at the scene. According to a report by The Eagle Online, the flames were so large that they burnt two other vehicles and apparently two cows. The cows and the vehicles have been reported as being in stable condition. So far there is no information on whether police will be taking any action or if they will simply write it off as an accident. 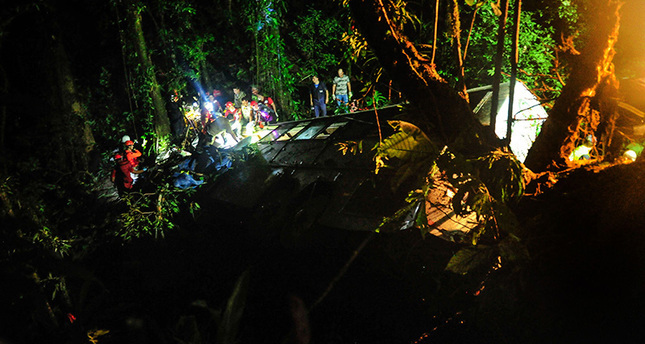 Fifty-three people have perished following a gruesome crash that occurred last night in Brazil when a coach bus lost its braking power and plummeted off of a cliff. According to reports, the bus swerved off a curve and fell 1,300 feet before violently crashing into a wooded area. 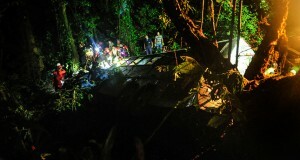 Rescue crews were still trying to rescue survivors and recover the bodies of the victims until nightfall. Currently, local Police have no information regarding how many passengers in total were aboard the bus or whether the driver was one of the victims, but said that at least six survivors were being treated for injuries. A statistical analysis report by the Inter-American Development Bank stated that Brazil averages more than 18 highway deaths per 100,000 people per year, compared with about 10 in high-income countries. Two people are dead and two are injured following an untimely brake failure that took place last week in India. The accident occurred when a construction truck experienced total brake failure and ultimately struck a nearby electric pole which then systematically hit a bypassing car that contained a family of four. A man, his wife and their two children were in the car. Among them, the mother was instantly killed while the rest sustained life threatening injuries. Reports state that one of the daughters succumbed to her wounds in the hospital while the remaining father and daughter made full recoveries. A large crowd of people gathered to help in transporting the injured to the hospital. Traffic was said to have been delayed for an extended period of time. So far, the police have not identified responsibility for this tragedy or issued any statements. Last week the brand-new Suzuki Celerio had been recalled just a day after it went on sale. The notice concerned potential high speed brake failure, after faults were detected on a UK media test drive. All cars were immediately recalled, with every customer, dealer and press car returned to Suzuki GB for inspection. Today, Suzuki has issued a statement confirming a fix would be available in the coming weeks. “A rectification by Suzuki Motor Corporation is currently being executed and delivery of modified brake components is expected to be enacted in the near future. The failures are reported to have happened on closed roads traveling at 80mph, however the issue is thought to only affect a handful of new right-hand drive models. A spokesman from Suzuki GB announced the company was in direct contact with customers via its dealer network and is providing a loan vehicle to them until full safety checks have been completed. The Celerio city car was completing testing off the back of a full UK media launch last week. During the first full-force braking test, it is said that all stopping power was lost immediately when the brakes were pressed. The pedal became stuck in the fully depressed position and had no effect on the Suzuki’s speed. No braking effort could be exerted by forcing the pedal up and reapplying it, leaving the driver powerless. According to reports, the Celerio in question was brought to a safe stop using only the handbrake and engine braking. Suzuki naturally recalled the car and delivered another for retests – but the replacement unfortunately failed again in exactly the same situation. As a product of the failure, Suzuki is recalling all UK Celerio models effective immediately. This recall affects right-hand-drive vehicles for UK, Ireland, Australia and New Zealand. It does not affect left-hand-drive vehicles or other right-hand-drive markets. Those cars are all built at the Maruti plant in India, while UK models have just begun production at the Rayang factory in Thailand. If you think you might be affected by the recall, contact your local Suzuki dealer immediately. 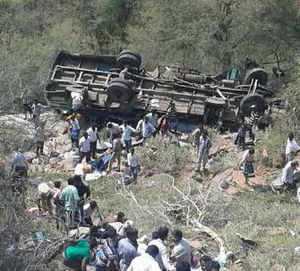 According to sources, seven people were killed and 44 others were injured when a Tamil Nadu State Transport Corporation bus careened 100 feet down a steep hillside to a gorge on Tuesday. The accident occurred at a hairpin turn at around 1.20pm, police sources said. The bus was stated to have been traveling from to Hogenakkal from Dharmapuri. “As of now, we have recovered seven bodies from the gorge. The death toll may increase,” said the police. The injured were immediately rushed to nearest government hospital. The accident happened at the third hairpin bend on the road to Hogenakkal at around 1.20pm. 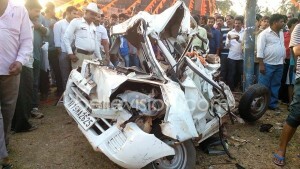 One person is dead and multiple people are injured following a freak accident that took place today in Mapusa, India. According to reports, a road roller was on the job when it suddenly lost all braking power and started to pick up momentum. The driver started shouting loudly to the people on the road to move aside as the roller begun traveling faster and faster out of control. When the road roller reached a slope, it hit a scooter coming in the opposite direction. The impact was so powerful that the woman was flung off from her scooter and hit the gutter by the road. The road roller which was in no control of the driver hit the two two-wheelers along the road. By this time the road roller had already travelled for more than 150 meters along the slope. Realizing that the vehicle cannot be controlled because of the junction ahead the driver jumped off it to save his life. The speeding road roller, without driver, later entered a no-entry road and hit a building, and fell on its side, but all not before damaging 11 two-wheelers and a car. Six two-wheelers were completely crushed under the roller.